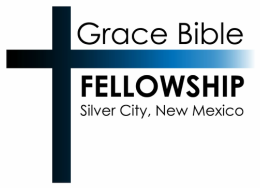 Grace Bible Fellowship is an Independent Evangelical Reformed church in Silver City, New Mexico. Our Sunday service begins at 10:30 in the morning with worship and preaching by Rod Chandler. The church building is located just off the 180 East, at 2335 Ranch Club Road, in Silver City, NM. Parking is available both in front of and behind our building.